The roof of the Rifugio Comici in Selva Val Gardena was restored in record time. Only two weeks after the tragic meteorological event at the end of October, which has brought numerous damages in the Alps, also blowing away the roof of the Comici hut of Selva Val Gardena, works to rebuild the roof are almost completed before the imminent snowfalls. The time schedule of the works seemed almost impossible, but it was being able to be restored in record time – in just 11 days, with an already final solution that will be completed in the coming days, just in time for the start opening season. This success was due to the coordination of the Marzola group and to the workers of the companies Lignosystem and Zumprafux who have worked uninterruptedly and with great skill at 2153 m to make all this possible. 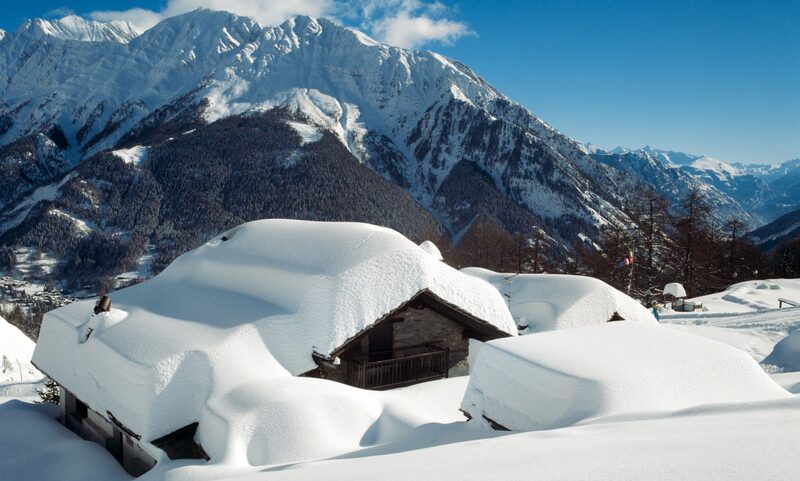 The Comici hut will therefore open in perfect normality at the beginning of the next winter season on Thursday 6 December 2018. The-Ski-GURU TRAVEL can plan your holidays including booking your Eurotunnel trip, lodging, lift tickets, rentals, ski school, and all you need for an excellent vacation. Go to https://www.the-ski-guru.com/traveland upload your information – this page will be updated soon with more travel ideas. You can start thinking about your trip, by reading the articles on the Planning your Ski Trip tab. Or how to pack for your family ski trip. Take advantage now of having one kids ski pass for free, courtesy of MySwitzerland. If taking your furry friend abroad to the continent, read about the new Pet Travel Scheme update from DEFRA. Or our last news on equipment as seen at the London Ski Show. Also, the new range of skis of Black Crows, one of our favourite brands. Lots of snow makes you wonder how the resorts deal with the avalanche danger. Here you can read the interview to Coco Torres, former Head of Operations of Las Leñas, in Argentina, as how they dealt with avalanches at the resort. You can also read what’s new at Les Trois Vallées and the last article on what is new at the Tirol ski areas, in 3 Zinnen Dolomites , in Gstaad , in Chamonix and in the Skicircus Saalbach Hinterglemm Leogang Fieberbrunn. And how the US Ski Team has chosen Alpe Cimbra to train for the following four ski seasons as their European home. A corduroy piste awaits you in Sudtirol. Photo: IDM Sudtirol. Thankfully Val di Fassa is ready for opening December 6 as stated here. If you want to salivate and think of snow, see our snow report from last weekend here. Or see how Aspen Snowmass has started its snowmaking operation. They are planning to open Aspen Mountain early. You can keep up to date on how are the sales for the EPIC and IKON passes are doing here. Read how Emma, the first Digital Mountain Assistant, is launched in Keystone now and will be rolled to eight other resorts this season. And even read about the new incorporation to the IKON Pass: Valle Nevado. Here is also a post on the South American resorts. A view from the roof fixed in record time for the opening of the season – Rifugio Comici- Selva di Val Gardena. Sudtirol. Featured Image: The Alpine huts along the ski slopes of the Gardena Valley serve local fare mixing traditional Italian with South Tyrolean dishes; against the magnificent background of the snow-capped peaks of the Sella Mountain Group in the Dolomites. Photo: IDM Sudtirol – The roof of the Rifugio Comici in Selva Val Gardena was restored in record time. Photo: IDM Sudtirol – The roof of the Rifugio Comici in Selva Val Gardena was restored in record time.